Description : Xpenser help you record expenses as soon as they happen and forget about them. 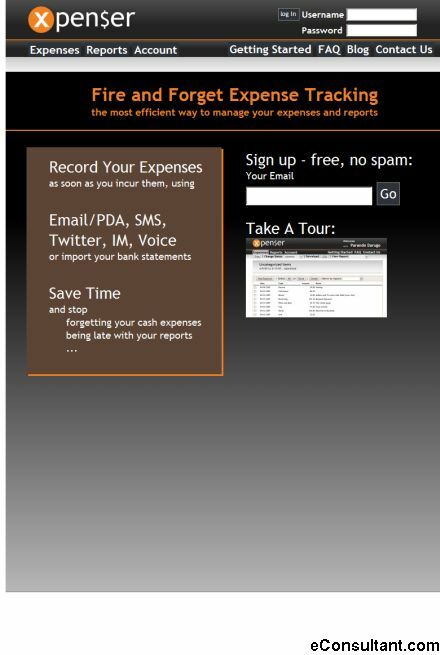 you can record expenses via whatever means are available to you quickly and painlessly. Send them in via Email, SMS, IM, or voice (call a number and say your expense). Use the Web interface to edit and finalize them, and be done with them. No more forgetting your cash expenses, no more half-day expense entry sessions.